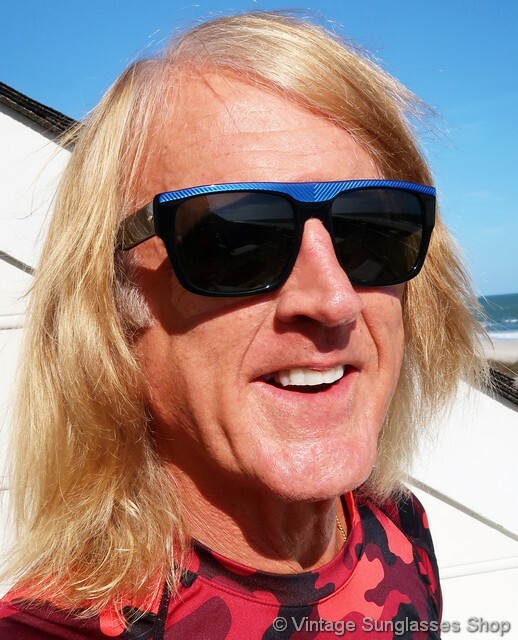 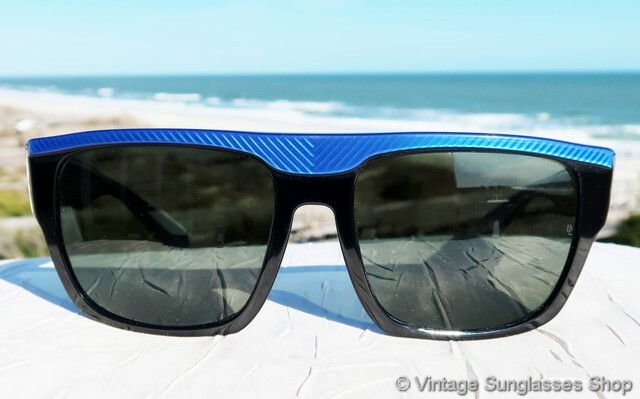 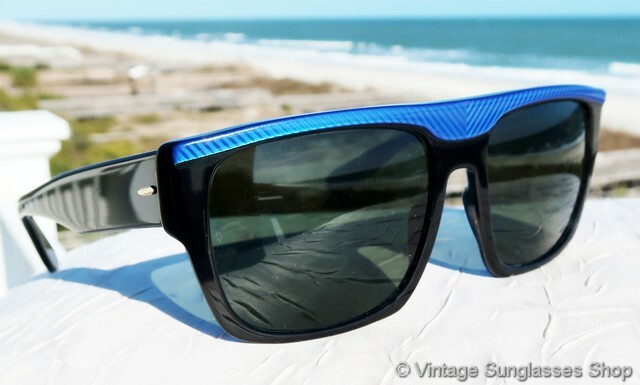 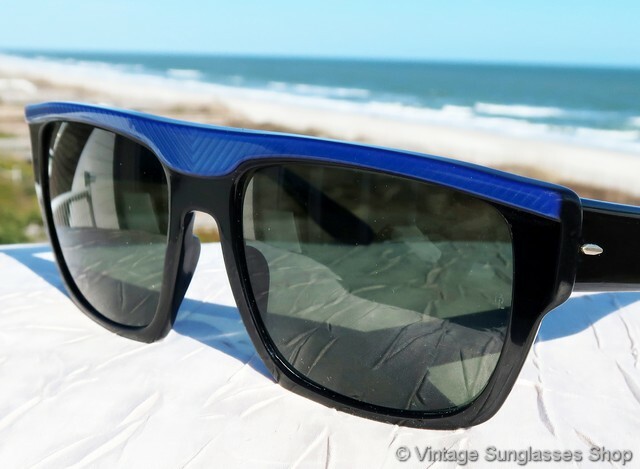 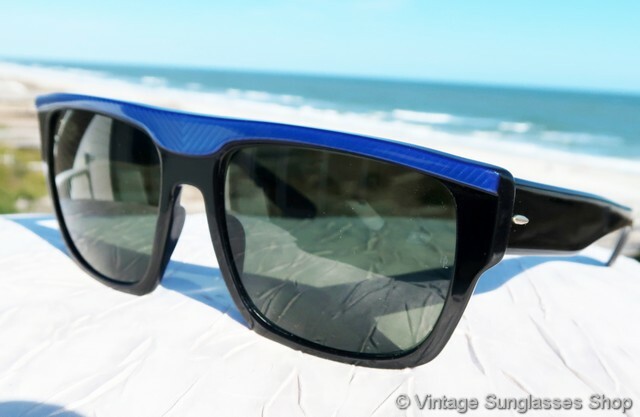 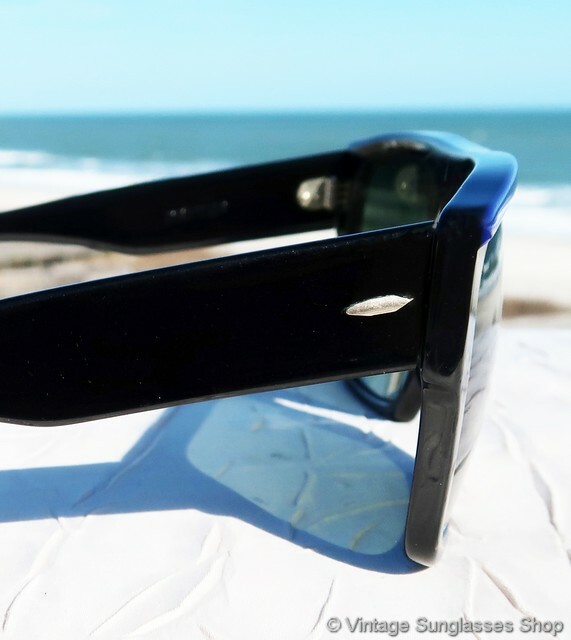 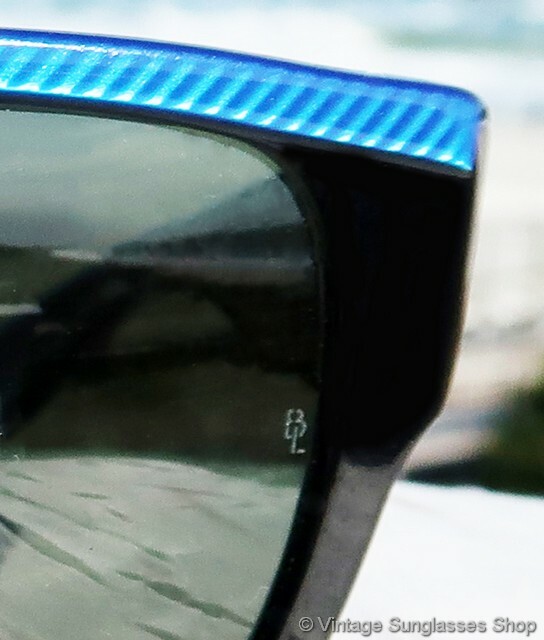 1 Vintage Ray-Ban W0361 Drifter sunglasses feature the Electric Blue top accent combined with black ebony lower frame for an eye catching color combination in that distinctive Ray-Ban Drifter sunglasses style. 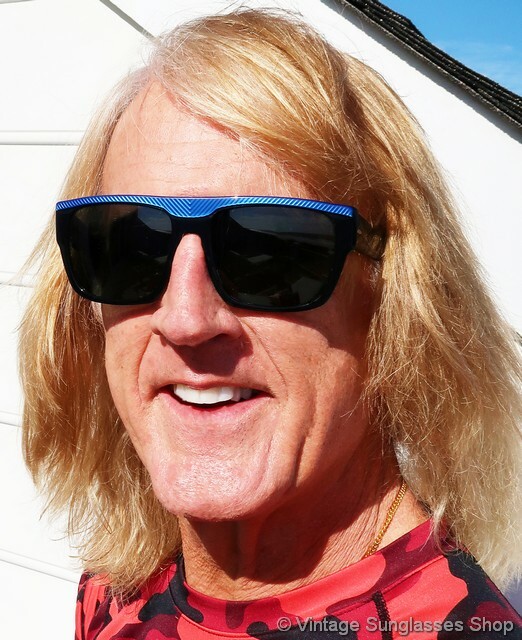 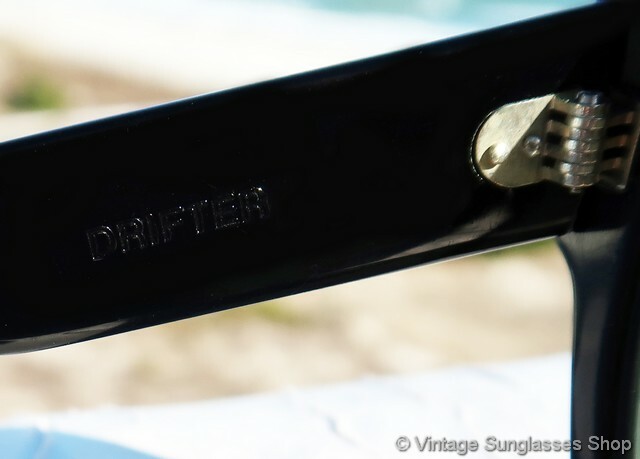 The Ray-Ban Drifter combines angles and curves to great effect, a variation of popular Ray-Ban Wayfarer Sreet Neat sunglasses but larger and more aggressive in shape. 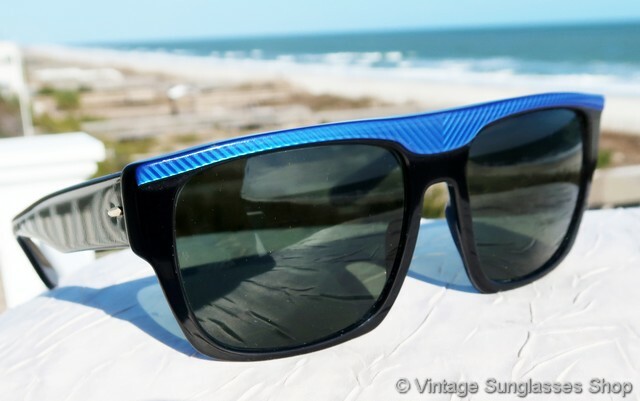 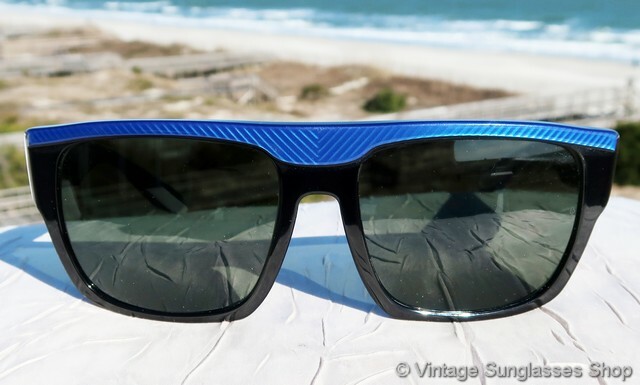 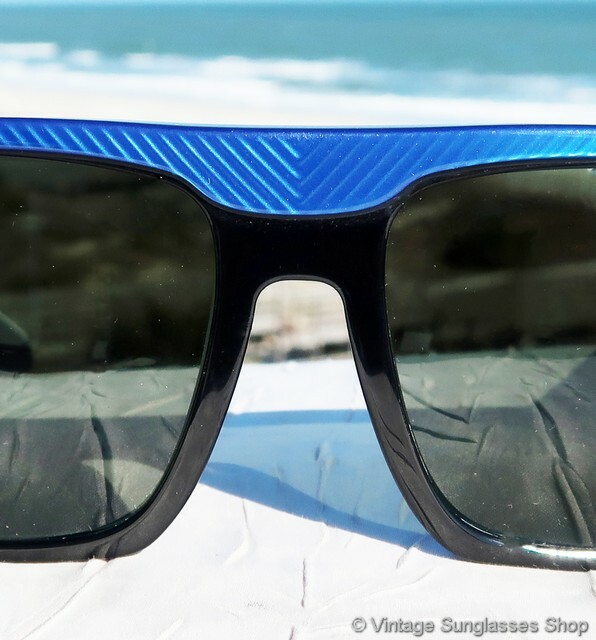 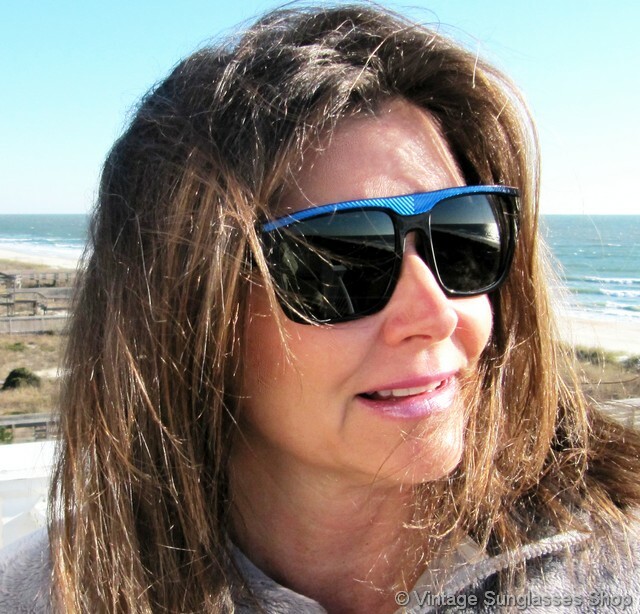 The electric blue top accent with subtle geometric lines looks great with the black ebony lower frame and ear stems, one of our favorite Street Neat color combinations. 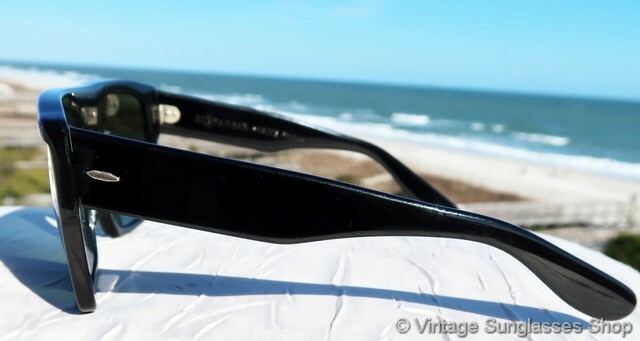 The unisex Ray-Ban W0361 Drifter frame measures approximately 5.75" temple to temple, and the Bausch & Lomb G-15 mineral glass lenses measure approximately 2.125" x 1.75" at the widest points with both lenses laser etched BL near the hinges. 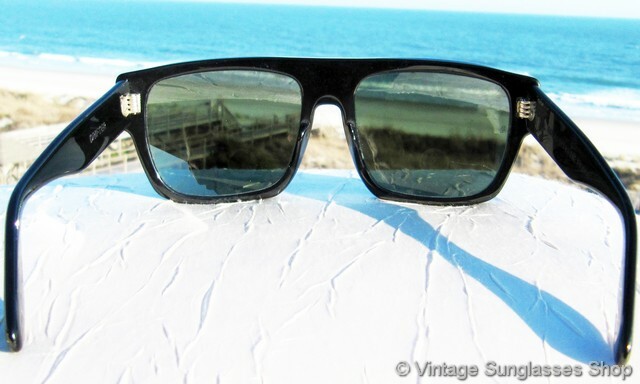 The inside of one ear stem is impressed B&L Ray-Ban Frame France while the inside of the other stem is impressed Drifter, part of a great collection of vintage Ray-Ban sunglasses in Miami, Florida. 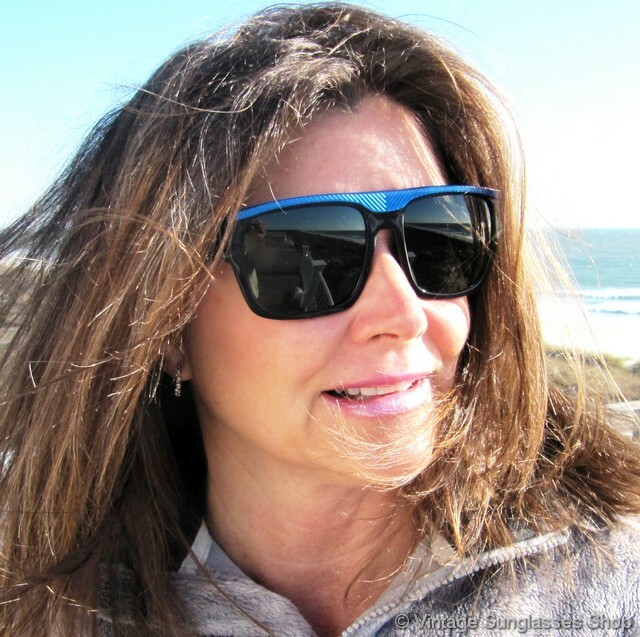 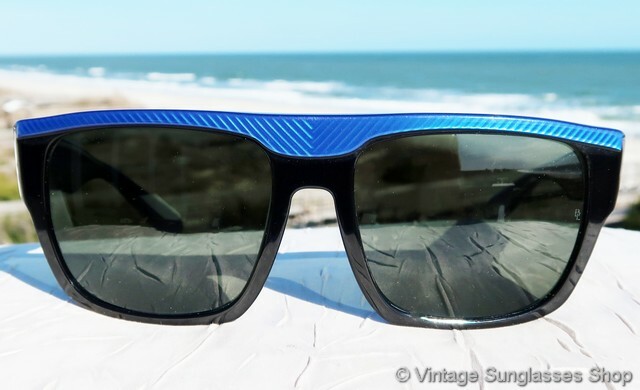 2 Step up another level beyond our already unequaled vintage condition standards with new old stock Ray-Ban W0361 Drifter Electric Blue sunglasses in mint, unworn condition.